Professor Lin Yun was a Feng Shui master and spiritual teacher who studied esoteric arts including meditation and Feng Shui in China and Taiwan. Starting in the 1970’s, Professor Lin began visiting the US, teaching Feng Shui and his unique theories of chi and chi cultivation.Professor Lin Yun was a Feng Shui master who studied esoteric arts including meditation and Feng Shui in China and Taiwan. Starting in the 1970’s Professor Lin began visiting the US, teaching Feng Shui and his unique theories of chi and chi cultivation. I first had the pleasure of meeting Professor Lin in the fall of 1995 in California. At the time, I was already a professional Feng Shui consultant, having learned from his Western students, James Moser and Seann Xenja. It was a privilege to meet him and I continued to learn the Eastern Arts under his tutelage until his passing in August of 2010. The first day I met him, I could feel how powerful and insightful he was. Professor Lin’s teaching was an amazing blend of practical, grounded advice and esoteric wisdom. He always helped others and assisting them with improving their lives with his unique solutions and unusual approach to life. He taught us to pay attention to the qi of a person and of a site. He instructed his students on how to adjust and improve the qi and therefore create a better and smoother life. He had a mischievous sense of humor and loved to play jokes on people. He enjoyed puns and telling stories. I always felt positive and uplifted when I was around Master Lin. I believe this was because of his high level of tolerance, humor, curiosity, and personal cultivation. One of his favorite activities (besides eating!) was to have one of his students sing to whatever group was around. He loved karaoke said that when there was singing, people’s energies opened up and their qi could be adjusted more easily. I saw many people’s lives change and transform through Professor’s teachings. I witnessed his influence help peoples' personal development, spiritual improvement, career enhancement, major increase in wealth and prosperity, finding a life partner, improved marriage, and better family harmony. Professor Lin developed and taught traditional Feng Shui theories and also created his own contributions to Feng Shui thought. He emphasized sensing (reading, assessing, feeling, intuiting) the energy of internal and external spaces and improving one's abilities to do so. I believe that many of his qi cultivation techniques had as one of their purposes, improving this ability to sense the invisible energies in the space. Professor Lin possessed a variety of ways to "read" the environment and the situation. These included reading the face, the hand, body language and posture; observing favorable timing; assessing the impact of key life events that occur, and divination methods, among other ways to read the situation and improve his student's qi and life experience. His attitude was that Feng Shui should be incorporated with self-cultivation and inner improvement of the individual. He taught us always to lift others up whenever possible and never to criticize others to make ourselves feel higher. 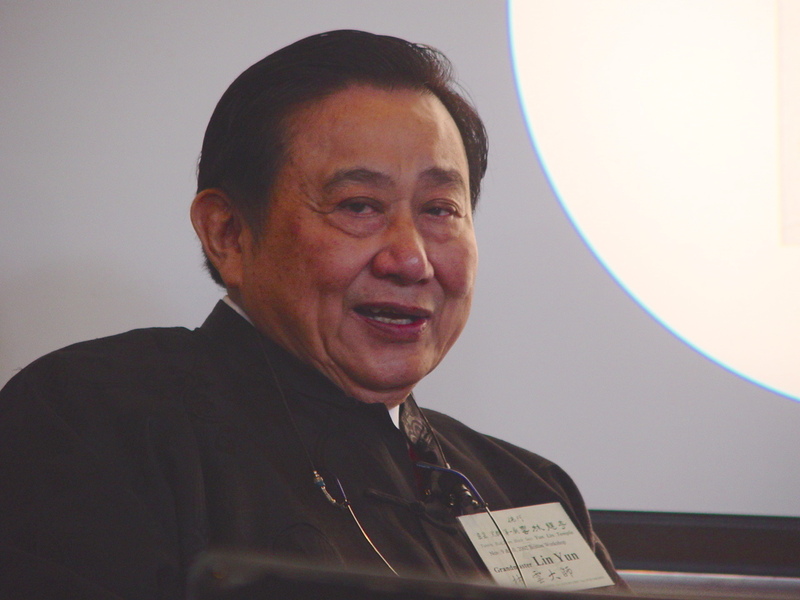 He emphasized spiritual practice as the most important activity for Feng Shui students. This not only benefits the student, but also helps the consultant to be more perceptive, compassionate and skillful in assisting his or her clients with Feng Shui methods. I study with Feng Shui masters in different Feng Shui styles and schools to broaden my education, yet Professor Lin remains the principal source of the Feng Shui methods I use and teach.